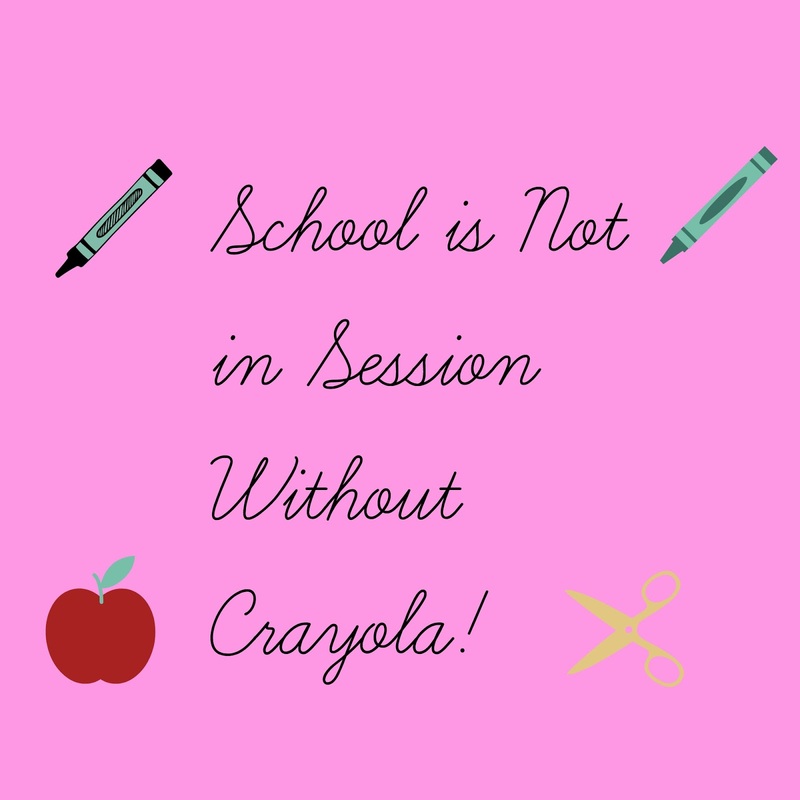 Sammi's Blog of Life: Back-to-School Season Isn't Complete Without Crayola! Back-to-School Season Isn't Complete Without Crayola! In the coming weeks, millions of children will be heading back to school. While your little ones may not be ready for the first day of classes, many parents will be happy to have the structure and routine of the school year back. I'm sure you've already taken your child to the store to pick out new notebooks, folders, and a backpack. It's a given that if you have a young child, you can guarantee that markers, crayons, and colored pencils will be on their list to buy. Back-to-school season is not complete without Crayola products in your child's backpack. Those bold and bright markers will create beautiful masterpieces at home and in school all year long. I've been using Crayola products since I was a child, and I know my daughter will be using them when she start pre-school in September. The brand has been around for decades and it will only gain more popularity as new generations discover it. Crayola's products go well beyond the typical ordinary markers and crayons. Delight your child this school year with stampable markers, window markers, mixable and twisted colored pencils, and so much more. Your child's imagination will soar to new heights thanks to Crayola.